Marsala is the biggest town in the Trapani province. It is known all over the world thanks to its fortified wine by the same name, but lots of tourists that comes by fall in love with the city and with the beauty of its surroundings. If it is your first time here we have a few suggestions to make about itineraries and places to see. The old town. From Porta Garibaldi on your right you will find the fish market, which is always crowded in the morning, and the sixteenth-century Spanish Quarter, now the town hall. On the left opens a small square enriched by the elegant facade of the Santuario dell’Addolorata. Further on, the street ends in the main square of the historic center of Marsala overlooked by the Palazzo VII Aprile and the Cathedral Church. The latter, dedicated to St Thomas of Canterbury, dominates the square with its eighteenth century façade. Inside, in the many side chapels are preserved sculptures and paintings of great importance. Behind this, the auditorium Santa Cecilia, also notable for the rich baroque façade decorations. Not far from there you will find Complesso S. Pietro, a sixteenth-century monastery, today hosting the Civic Museum with an interesting section dedicated to Garibaldi. The tiled dome, also visible from via XI Maggio, the center of modern city life and the evening’s entertainment, is the main and most particular feature of the buiding. If you findare walking on via Roma from time to time raised his eyes: you will find yourself surrounded by refined and elegant Art Nouveau buildings. The Stagnone lagoon. A closed and protected maritime reserve. The Stagnone offers visitors a unique show in the world. Here is also the small island of Mothia. 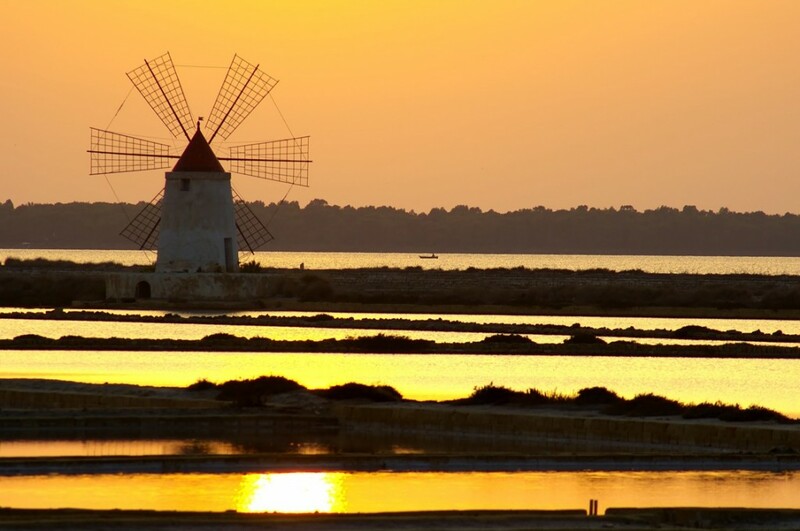 Behind the windmills, the lagoon and the saltpans, every evening the sun goes to sleep giving thrilling landscapes. Baglio Anselmi archeological museum. 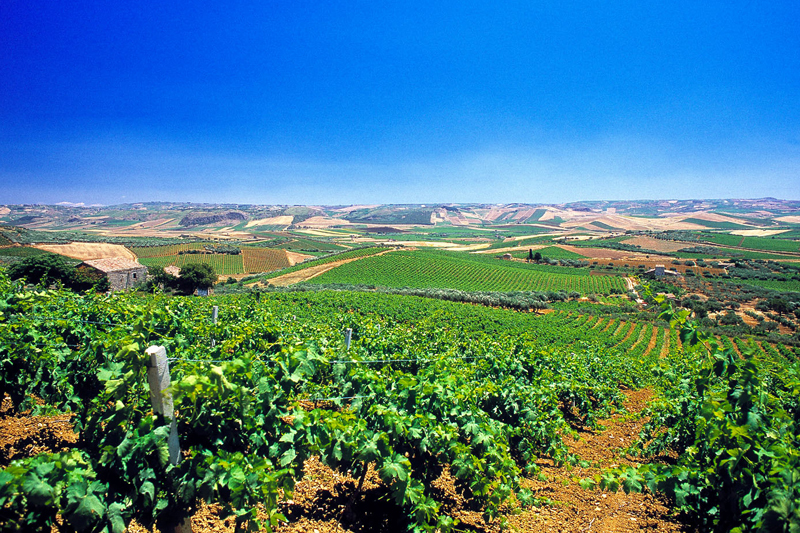 Once a winery, Baglio Anselmi is today home to the museum housing archaeological findings. This is a large collection of pottery, amphorae, funerary objects, votive steles, furnishings and jewels, architectural elements and objects of various kinds. The museum also boasts the presence of Venus Callipigia and a Punic ship. Venus Callipigia is a recently found sculpture that, despite the lack of limbs and head, immediately attracts the attention of the visitor on its soft, elegant shapes and draping, which instead of covering it, enhances its nakedness. The Punic Ship is an important testimony of the ancient wars that Romans and Carthaginians fought in these waters. Probably the ship sank during the battle of the Aegadian Islands that in 241 B.C., ended the First Punic War. The ship was rebuilt inside the museum, and together with the vessel, it was also recovered part of the load.